Caring for your smile is crucial to your appearance and health. At Ora Dentistry, we offer the best care available in an environment that is comfortable and enjoyable. We understand that going to the dentist can be stressful, so we have created an atmosphere to put you at ease while our friendly, experienced team cares for your smile. 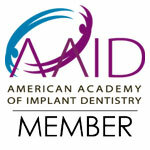 Our office is different from many dental practices you may have visited in the past. Quality is of the utmost importance to us, from the technology we use to the excellent care we provide. We believe you should be treated as our guest, not just another patient. Our patients enjoy a higher level of care at every level, from our experienced dentist to the comfort amenities we provide. You will notice the difference during your first visit to Ora Dentistry. We begin the experience with availability to flexible appointment options such as extended hours and same-day appointments. When you arrive at our office, you will have access to our complimentary beverage bar, computers, and a play area that your kids will love. Once you are in one of our treatment rooms, enjoy the flat screen TV with Netflix and wireless headphones to give you privacy while you undergo your treatments. We use the latest technology to make your dental visits expedient and thorough, giving you the best care for your smile. We even offer heated pillows to help you relax and stay comfortable during your visit. Come experience a new kind of dental care at Ora Dentistry. From our sedation dentistry options and wide list of dental services to our amenities designed with your comfort in mind, you will love our practice. Contact Ora Dentistry today to schedule your appointment.